Ok. Start by browning 142 g/5 oz/10 tbsp of the butter. What does that mean? Head here: https://www.youtube.com/watch?v=dkV2pRjbWkk His accent’s way cooler than mine. Also, he is saying “nutty flavour,” not “nerdy flavour,” though I can’t say there’s anything wrong with nerdy flavour, either. 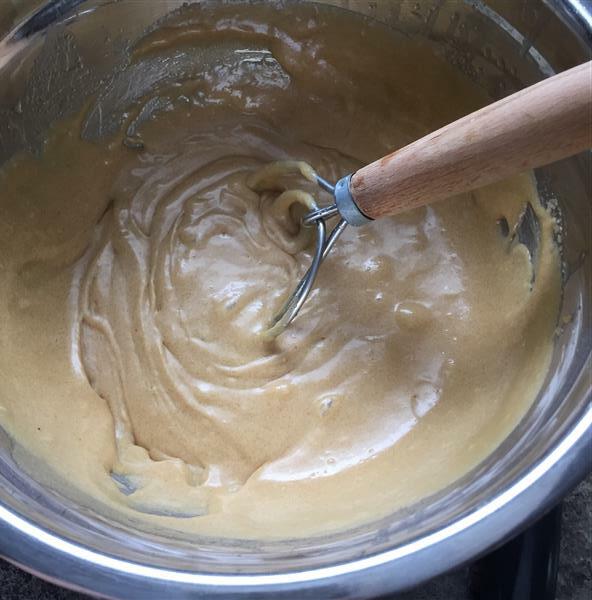 😀 Don’t worry about ending up with some or all of the browned milk solids in your cookies. They’re yummy. Whisk for another 30 seconds. Then let it sit for 3 minutes. 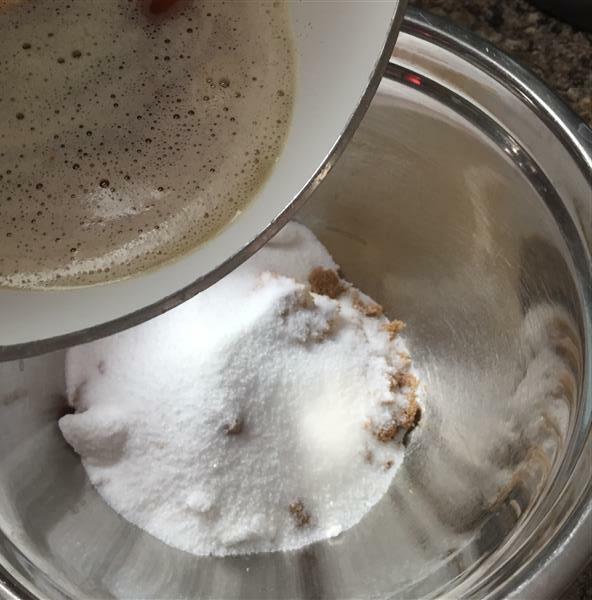 This is enough time to go mix 250 g/8 1/4 oz/2 cups of whole wheat flour with 1/2 tsp baking soda. Oh! I forgot my two secret ingredients. 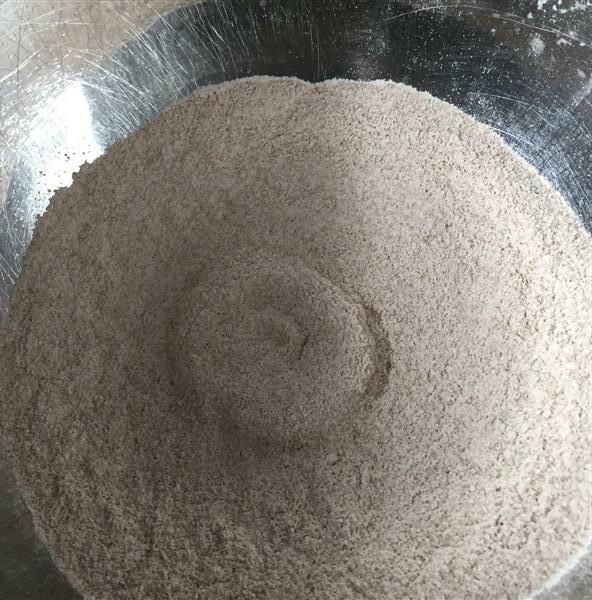 The first is that I use freshly ground whole wheat flour. The second is 1 tsp of cinnamon. I credit this inspiration to Doug, who tipped me off to this element of Wookiee Cookies. Yes, that Wookiee. From the Star Wars Cookbook. Whisk for another 30 seconds. 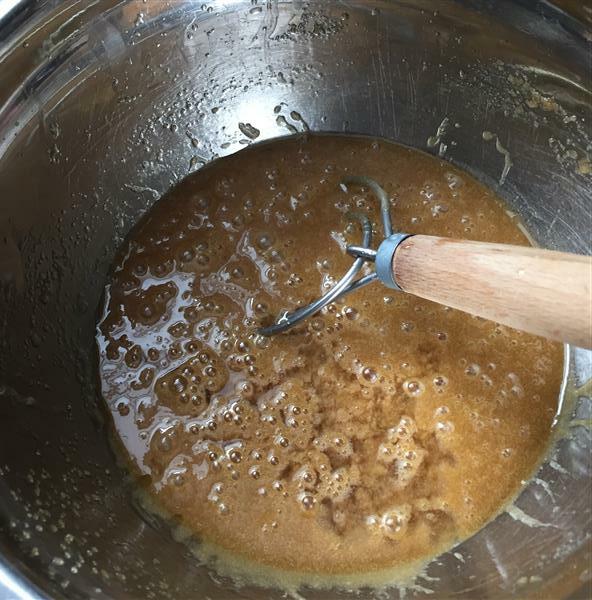 At this point, it looks totally different from the clumpy separated sugar goo at the bottom of a bowl with an oil-slick on top look that it had when you first started whisking. It’s almost fluffy. And absolutely delicious. The browned butter really adds something. 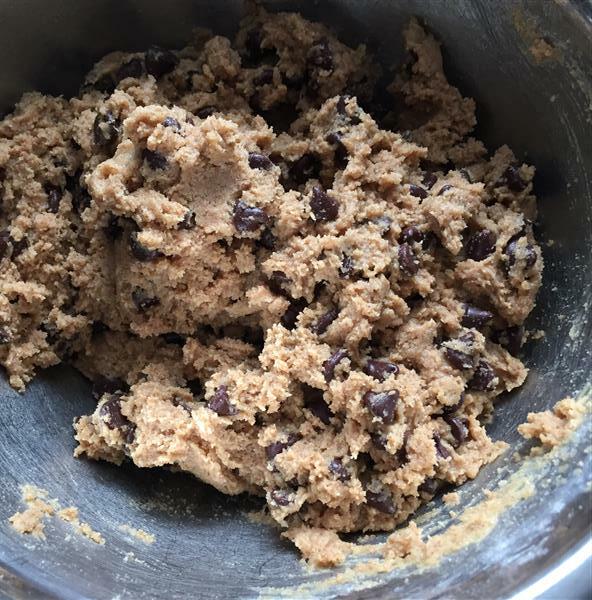 Fold in the flour, and the chocolate chips. Then stash it in the fridge until you’re ready to bake. This time around, I made up the dough on Sunday afternoon, then baked Monday night. It made exactly 3 dozen cookies. Well, we’ll call it exact. 3 dozen make it past the cooling stage? 2 dozen of these were one of my contributions to a baking contest at work, but I really didn’t enter them for the contest. If they won, I was going to tell the judges to pick something else. My ‘real’ entry was a strawberry rhubarb sour cream pie, which I made on Tuesday night. Stir flour mixture into wet mixture, then stir in 150 g of chocolate chips. Chill the dough for at least 1/2 an hour, then bake for 10ish minutes in a pre-heated 375 degree Fahrenheit oven. You’ll have to experiment with the baking time, and maybe even the temperature. Everyone’s tastes are different when it comes to how “done” they want their chocolate chip cookies. As far as I’m concerned, these have the perfect combination of sweetness, nuttiness, substance, chewiness, crispiness, and you can even pretend that they’re good for you. Even if they are hiding the baking world’s equivalent of broccoli. Posted on January 29, 2016 by KristinaPosted in RecipesTagged chocolate chip cookies, stone ground flour, whole wheat. That is hilarious! 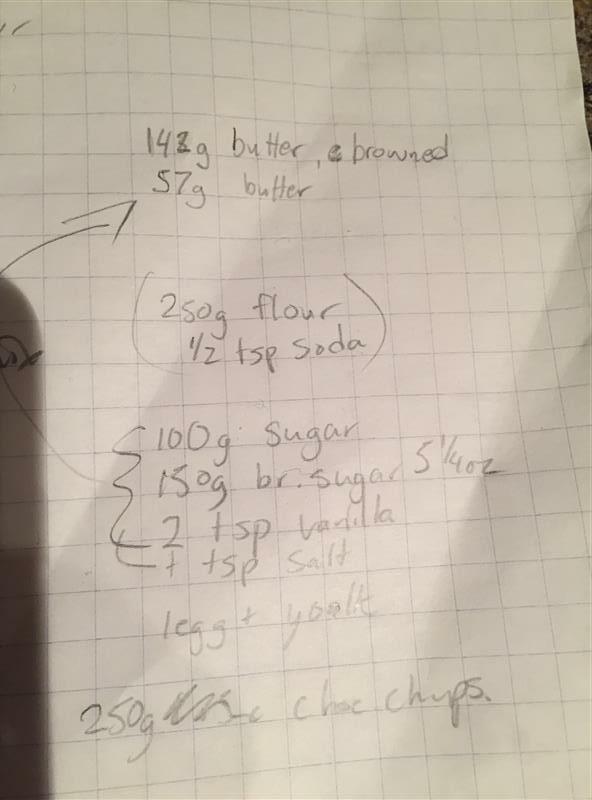 Thanks for posting your cookie recipe. They sound spectacular. A touch of cinnamon with the browned butter is genius.